Download Cartoon Shows, Movies, Anime and lot more in Hindi and Eng. 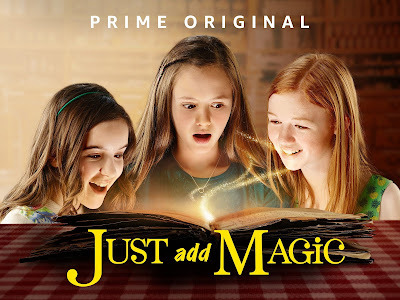 Synopsis: Kelly Quinn and her two best friends, Darbie and Hannah, find Kelly's grandmother's cookbook in the attic and discover some strange recipes. Give Credits Wherever You Share/Use It. yes, all episodes will be added but it will take some time. Disclaimer:- All My Post are Free Available On INTERNET Posted By Somebody Else,I'm Not VIOLATING Any COPYRIGHTED LAW. If Anything Is Against LAW, Please Notify Me So That It Can Be Removed.